The comics that have been accepted into the SpiderForest have now all been presented, but I've got even more to show you! Make yourself ready for Comics of the Week! 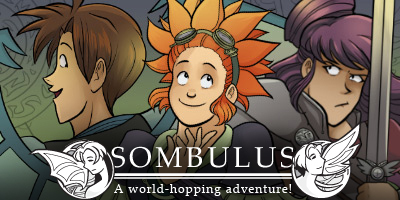 Sombulus - A fun world-hopping adventure about a girl who talks to machines, a magical scavenger and an over-zealous paladin. 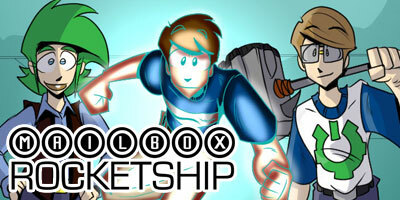 Mailbox Rocketship - Aliens, magic, super powers and Death himself. Keith's life just got complicated. I changed the site code a little to not display the banner at the top when you're on a comic page - that way you won't have to scroll that much :) Tell me how that works out for you, and if I should change it back, will ya?